Lucy Mortoyini wearing a fur parka. 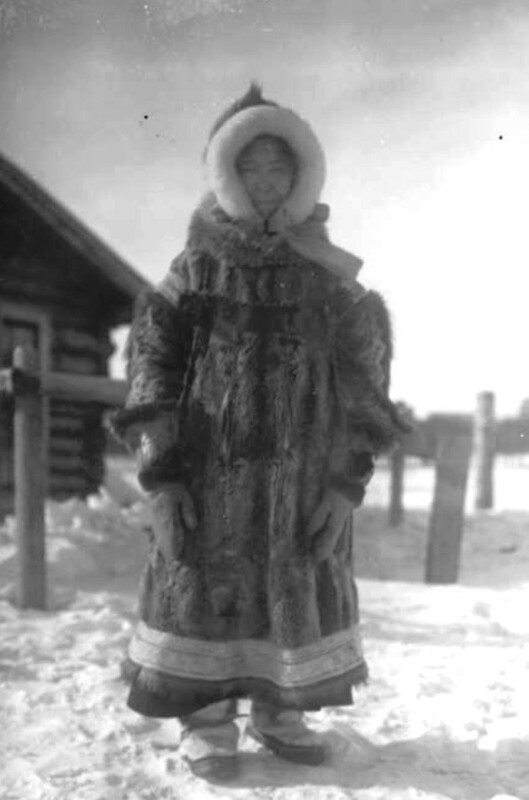 Tanana, circa 1926. Photo by Robert W. Crooks, courtesy of the Archives, University of Alaska Fairbanks, Vertical File Small Photograph Collection, 1990-102-8.